The Norwegian Design Council is behind a new Norwegian prize to reward innovative, accessible and user-friendly solutions. 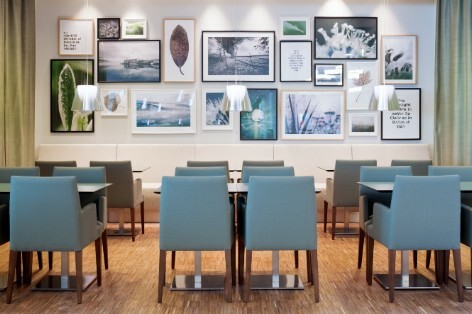 Scandic Oslo Airport won the category "Furniture and Interiors" and was thus automatically nominated for the Innovation Award for Universal Design. In November 2011 Scandic Oslo Airport won by the main prize - the Innovation Award. The award is a tribute to those who, in an innovative and creative way, have developed products, services and environments that contribute to a more inclusive society and is commissioned by "Children Equality and Inclusion" . The prize was awarded during a special event at DogA (Norwegian Design and Architecture) on 17th of November 2011. "The Scandic Oslo Airport Scandic shows how to combine modern architecture and design with consideration of universal design: good, consistent quality in the design of products, interiors, architecture and functional solutions, the universal design of a high level is evident in this project. Scandic Oslo Airport sets a new standard in the way they have integrated universal design. Here one has, as the only hotel chain today, taken into account the interests of all users in the business strategy. The jury believes that the hotel is a fantastic signal project, because it shows that one can achieve competitive advantage and increased profitability by focusing on comprehensive solutions to include all types of guests. The hotel oozes quality. The design stigmatize none, and the building appears welcoming and wonderful. Here all the guests are well received and included, all are equal and can participate on equal terms in all contexts." "It has been good for vision, hearing and mobility, among other things, the good accessibility, visual alarms, telephone loop, arrangements for the charging of electric wheelchairs and much more." "The interior also takes into account people with environmental disabilities, that is: asthma, allergies or other sensitivities. 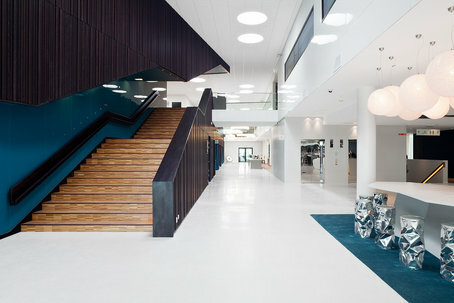 The interior architects, Architect Arna Krook & Tjader AB, and architects Narud Stokke Wiig Architects AS, are behind the design of the hotel, which opened in spring 2010. "First of all we thank the Asthma and Allergy Association for the nomination of Scandic Oslo Airport. This was the first Scandic hotel where we really looked at all aspects of the construction process and design and it has been an incredibly useful learning process for us. NAAF has assisted and counselled us from start to finish and it's really nice that the cooperation has been such a successful product". "For us it is important that everyone can live well at Scandic, regardless of special needs. To improve accessibility, we are working on it every day, in all our hotels; we've even had our very own Handicap Ambassador since 2003, says Svein Arild Steen-Mevold, CEO of Scandic Norway.